Whitworth Senior Associate Provost for Academic Affairs Barbara Sanders announced on April 20 the appointment of Timothy Wilkinson as dean of the university's School of Global Commerce & Management. Wilkinson, who currently serves as interim dean of the College of Business at Montana State University Billings, brings significant experience in international business, entrepreneurship and marketing to his new position, effective July 1. "Dr. Wilkinson's alignment with Whitworth's mission, his collaborative leadership style, his marketing and communications skills, and his strong faith uniquely qualify him to serve as the next dean of the School of Global Commerce and Management," Sanders says. "His experience in involving the business community in creative ways will provide a platform for Whitworth's increased local outreach in Spokane, and his many international connections will extend the university's global reach." Wilkinson has nearly 20 years of experience in business education and administration. He has served as interim dean of MSU Billings' College of Business and as director of the university's Center for Business Enterprise since 2010, and he has been a professor of marketing there since 2006. He says he was attracted to Whitworth's mission and the level of enthusiasm displayed by students, faculty and staff for advancing that mission, as well as the reputation of the business school. "Whitworth's mission of educating both the mind and heart is appealing to me because it recognizes that human beings are made in the image of God and that the meaning of life is about much more than the acquisition of material gain, which is particularly important in the realm of business education," Wilkinson says. "It's clear to me that Whitworth is a special place and the School of Global Commerce and Management has a bright future, and it is an honor to be associated with such a fine university." As the Charles L. Boppell Dean of Whitworth's School of Global Commerce & Management (SGCM), Wilkinson will oversee faculty and staff serving nearly 400 students in traditional undergraduate programs in accounting, economics, business management, international business and marketing; a non-traditional program in organizational management primarily serving working adults; and master's programs in business administration and international management. The school has developed a reputation for its faculty's expertise in international business and for the global focus of its programs. The deanship is named in honor of California restaurant executive Chuck Boppell and his wife, Karlyn, who made a significant gift last year toward a new $3 million endowed dean position. Wilkinson, a noted expert in the area of exports and export promotion, has published numerous articles in publications such as the MIT Sloan Management Review, the Journal of International Business Studies and The Wall Street Journal. In 2011, he won a prestigious Berry-AMA Prize for the best book in marketing published in 2010 for The Distribution Trap! How to Retain the Value of Your Innovation, which he co-authored with Andrew R. Thomas. 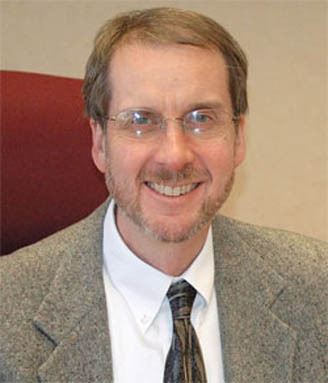 During his time as interim dean, Wilkinson worked to reposition MSU Billings' College of Business as an entrepreneurship school, such as by developing entrepreneur-in-residence and executive-in-residence programs, and he also led the creation of the Virtual Business Development Consortium. He strongly backed efforts to increase student diversity on campus, including by working with Montana tribal colleges and recruiting internationally, and he also developed international degree program partnerships with universities in South Korea, China, and Germany. In addition, he oversaw the business school's accreditation maintenance efforts, which will benefit SGCM as it pursues its accreditation with the Association to Advance Collegiate Schools of Business (AACSB). Prior to coming to MSU Billings, Wilkinson served as associate director of the Institute for Global Business at the University of Akron, where he was also an associate professor of international business. Prior to that, he worked as an assistant professor of public policy and administration at Boise State University. In addition to his work in academia, Wilkinson has served as a consultant to numerous businesses and organizations. He is a member of the Academy of International Business and the International Academy for Case Studies, and he serves on the boards of the MSU Billings Foundation and the Montana Business Incubator. Wilkinson received his bachelor's degree from the University of Wyoming in 1985 and a master's of public administration at the University of Arkansas at Little Rock in 1988. He earned his Ph.D. from the University of Utah in 1996. He and his wife, Diane, have five children ages 14 to 24. Members of the SGCM dean search committee included President Beck A. Taylor, Barb Sanders, Craig Hinnenkamp, Heather Rogers, John Hengesh, Christie Anderson, Rob Buckham, Maxine Lammers, and Ruth Pells. Barbara Sanders, senior associate provost for academic affairs, Whitworth University, (509) 777-4303 or bsanders@whitworth.edu.